The “Sound Of Sam” show on the Belgian radio station “Studio Brussel” just got pimp with a live TV broadcast every Friday. To make the TV show a little more interesting we created a system for the DJ to interact with live webcam users. 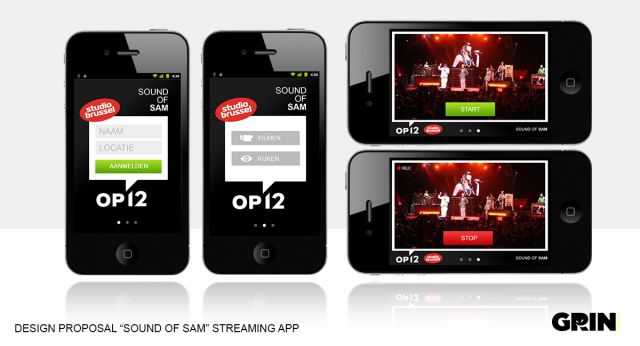 For the new show we also had the opportunity to develop a video stream recording app for mobile devices. This means that not only webcamusers at home can send their video, but anyone with a smartphone can be on TV!